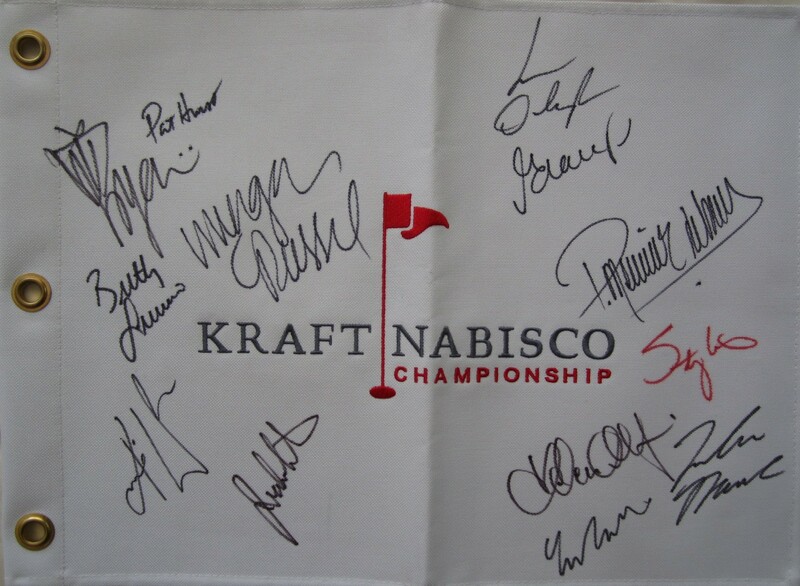 LPGA Kraft Nabisco Championship embroidered heavy canvas golf pin flag autographed by 13 winners of this major tournament: Inbee Park, Sun Young Yoo, Helen Alfredsson, Pat Hurst, Juli Inkster, Stacy Lewis, Brittany Lincicome, Patricia Meunier-Lebouc, Lorena Ochoa, Grace Park, Morgan Pressel, Yani Tseng and Karrie Webb. 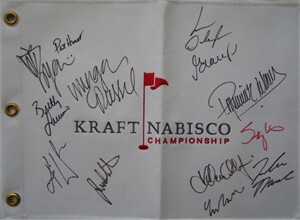 Obtained in person at the tournament over multiple years. With certificate of authenticity from AutographsForSale.com. ONLY ONE AVAILABLE FOR SALE.